Dermal versus epidermal hyperpigmentation: How deep does the melanin go? Black skin, white skin, Asian skin — what’s the difference? How light can your skin get? Some skin lightening ingredients work extremely well in the short-term, but are dangerous to our well-being and the long-term health of our skin. Mercury is one of them. While the use of mercury in skin lightening creams have been banned for some time now, they are still produced and sold. Below is a list of known skin lightening creams that contain dangerous levels of mercury (more than 1 ppm or one part per million). The list of creams, lotions and soaps below are only the ones I’ve found, so it’s not an inclusive list. In other words — just because a cream is not listed here, it doesn’t mean they’re safe and that they are free of mercury. I update this list regularly. If you know of a cream, lotion or soap that has tested positive for mercury, let me know in the comments section below. April 2009 – Import refusal report by FDA for Diana Cream and Acne Soap because of “unapproved new drug”, Refusal AC1-6395152-1/38/1/. Unfortunately, no lab sample analysis was done. Has 39,000 mg/kg of mercury! Has 28,600 ppm of mercury! Many government websites also contain lists of banned cosmetics and soaps that contain mercury. For example, The Kenya Bureau of Standards has a list of banned products containing mercury (see pdf). The Minnesota Department of Health (MDH) also has a list of skin creams that exceeded the FDA limit for mercury upon testing. In 2004, New York City’s Department of Health and Mental Hygiene conducted an investigation and had the mercury content of several store-bought skin-lightening products analysed (see page 3 of this pdf for the product list and their mercury content). 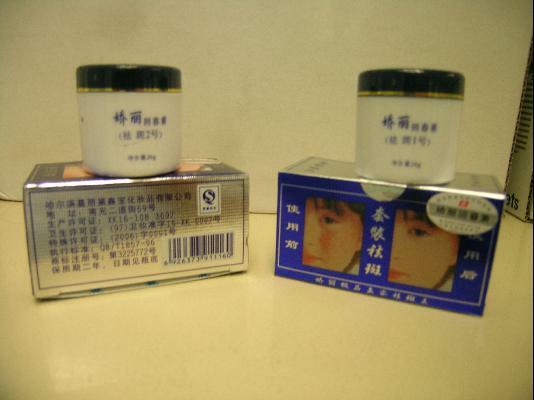 In May 2010, the Chicago Tribune had 50 skin-lightening creams tested at a lab (most of the creams were bought in stores, a few were ordered online). Six were found to contain illegal amounts of mercury. You can check the Chicago Tribune’s findings in this detailed list containing the names of these creams and the levels of mercury they contained (download pdf). 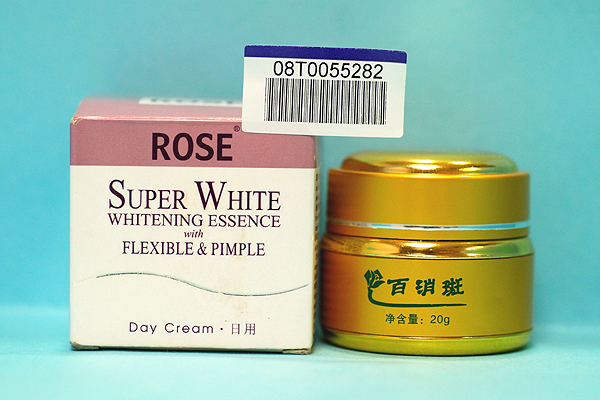 In August 2011, Philippine watchdog group EcoWaste Coalition conducted a test of 12 brands of whitening creams. 11 tested positive for high levels of mercury (download pdf). Later in October 2011, the same group screened 25 brands and found that 19 contained 1,395 ppm to 52,100 ppm of mercury (none listed mercury as an ingredient). In 2016, a study by the Sustainable Development Policy Institute (SDPI) analysed skin whitening creams for mercury content and investigated the health threats and use of such creams among consumers. 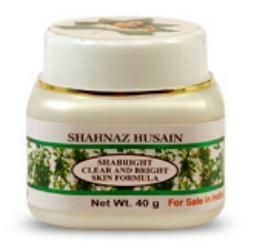 Most skin lightening creams containing mercury are either white or yellow in color. Unscrupulous manufacturers can also easily change their product names and packaging to evade the authorities. 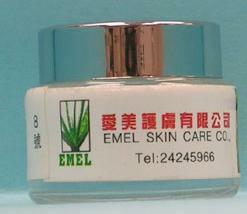 The packaging for skin whitening creams containing mercury would also usually not list mercury as one of its ingredients, although sometimes ‘calomel’ is listed (calomel is mercurous chloride, a type of mercury). 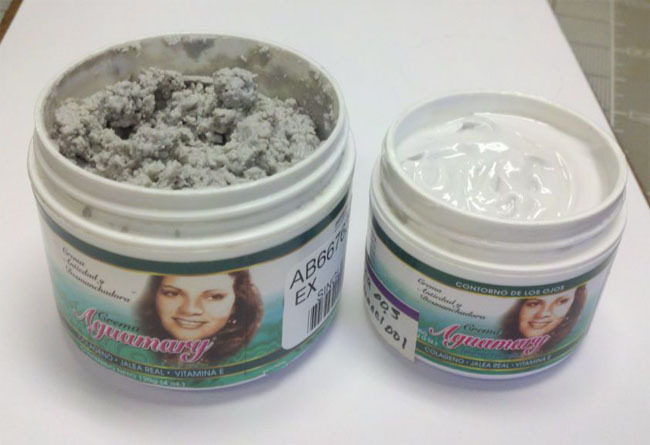 In one case, skin lightening creams sold in white plastic jars with no labels were found to contain 5.6% or 56,000 ppm of mercury (2010/11 Health Alert from California’s Department of Public Health, with picture). 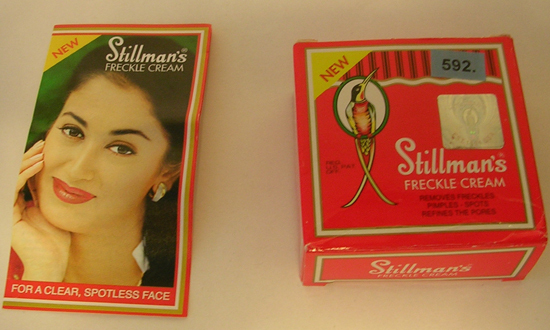 In another case, sellers of the banned St. Dalfour whitening cream not only stole an existing European jam company’s brand name St. Dalfour for themselves, but also reused the company’s jam jars! Perhaps most shockingly is that these startling facts aren’t enough to deter everyone. 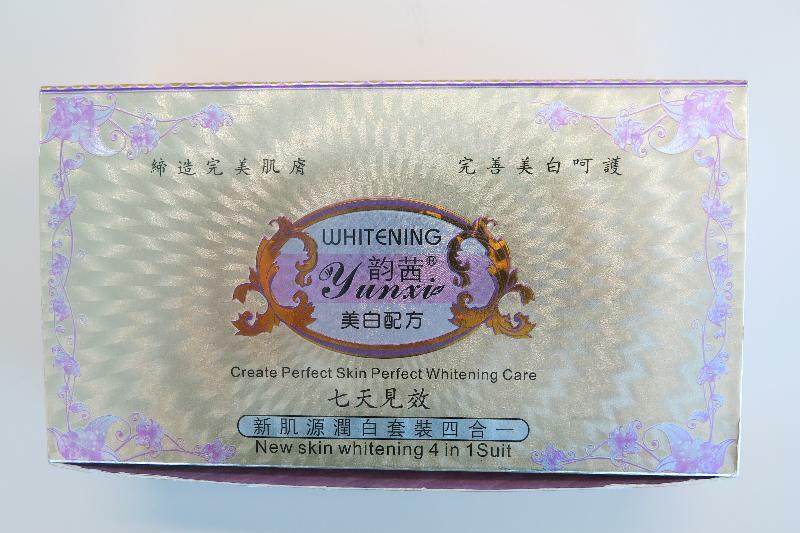 Skin whitening forums are rife with sellers insisting they have the “real” St Dalfour whitening cream, as opposed to the “fake” ones. All without a trace of irony. Like the bulleted text list above, the below table is not an inclusive list. Packaging is repurposed jam jars! See the original jars that came from a separate and unrelated jam manufacturer. FRAUD ALERT. I’ve received fake comments from someone posing as different people (“Lars Darby”, supposed “CEO” of St Dalfour Whitening Cream + “Maria”, a commenter selling the “original” St Dalfour cream). The comments came from the same I.P address (click to view screenshot). Many have asked about the safety of specific creams in the comments section below – i.e. whether this or that cream is safe or if it contains mercury. I’m quite unable to answer most of these queries since I’m not an independent testing agency, nor do I have the funds or backing to source for these creams and get them tested on my own at third-party labs. If you look through the long list of banned products on this page, you’ll find that the information was largely gathered from various countries’ government agencies and customs departments. They are publicly available information. All I can do is try to put the scattered pieces in one place. So there’s not much I can tell you about the safety of a specific cream if you’ve already done a Google search and came up with little to nothing reliable on it (although I think finding little good information is already an answer in and of itself — no matter what, you’ll be taking a risk with it). If you have questions or are doubtful about the safety of any cream, I would advise that you err on the side of caution for the following reasons. Long waits to identifying dangerous creams. There can be a long time lag between a cream with mercury first being sold and consumers being made aware that it is actually dangerous. Many creams that were found to contain mercury were only discovered to be harmful after many months (and sometimes years) of being sold. Lax or non-existent government monitoring. Most creams that use banned substances like mercury are manufactured in markets where there is little or no reliable government monitoring and control. Sometimes there can also be the appearance of oversight, but no real protection. Low-wage public officials that are responsible for monitoring the use of banned substances in manufacturing can be easily paid off to sweep things under the rug. Most creams pass through borders without being tested. 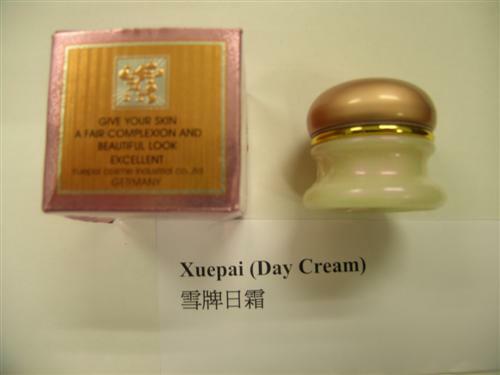 Many product warnings on creams with banned substances actually originate from other countries’ customs departments during the import/export process. However, even this system is plagued with holes since only a small percentage of products that enter a country are actually chemically tested. So for importers/exporters, it’s really a game of numbers. It makes financial sense for them to continue shipping banned/harmful creams because they know that even if some will be seized, most will pass through trade borders undetected. E-commerce has made it easy for anyone to package and sell creams without certification or licensing. 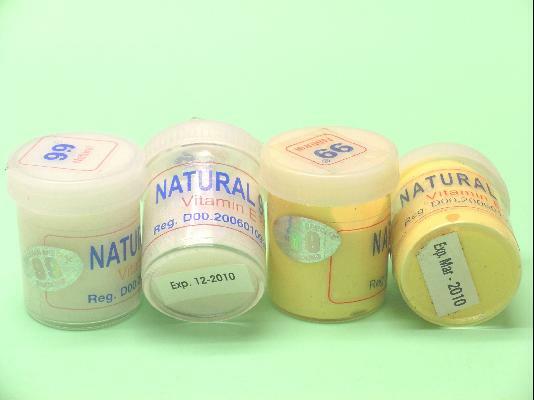 Little-heard-of creams that are sold in small shops and markets may be made in homes, basements, garages, etc. It is very easy for anyone to mix, package, label and sell their own creams. 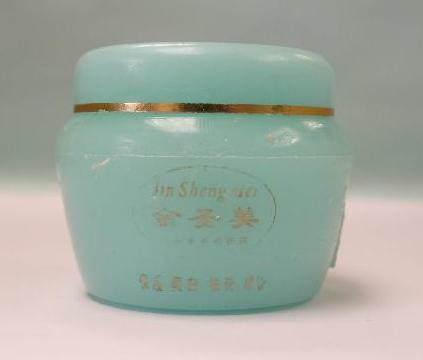 Do a search on ebay or alibaba and you’ll find all the chemical ingredients and packaging needed for anyone to start selling their own “magic cream”, complete with shiny packaging and too-good-to-be-true promises. There are no guarantees with these creams except that the people selling them will make some money. All the risk is borne by the users who might end up with irreparable skin damage, be hospitalised, or worse. Laws and systems do work to protect consumers to some extent, but they cannot guarantee 100% safety. Just look at how long the product list on this page has gotten over time. I’ve been adding products to the list month after month. This reflects our broken system. So the best protection is really ourselves and our own good judgement. Use creams that are manufactured by large, reputable companies with a global presence. Do an online search before you buy. If you need more information, visit the company’s website. A good manufacturer will have a way for you send questions such as a working telephone number or email address. Only buy creams that are sold in reputable retail stores. Your best bet is large pharmacy and supermarket chains (e.g. Boots, Guardian, Watsons) as their retail buyers have to adhere to certain safety and quality standards. They also have a reputation to maintain. And if you want to save some money, create your own skin lightening methods using natural ingredients such as turmeric, lemon juice and vinegar. They’ll cost pennies compared to expensive creams and you’ll know exactly what you’re putting on your skin. thank you for that wonderful information ive learn alot after reading your blogs. im planning to buy st dalfour cream but now i know how harmful it is for my health,i should think first before buying whitening products.. I am owner and seller of Angel Touch Essentials products and I recently acquired the St. Dalfour Whitening Cream products. First of, I think the St. Dalfour listed in the FDA (Philippines) is St. Dalfour from Japan not from Kuwait. Secondly, there are a lot of Sellers of the St Dalfour but how many are they really ORIGINAL or AUTHENTIC without MERCURY? Third, I make sure that the product is safe before I sell the it. I can provide a LABORATORY TEST RESULT that the St. Dalfour we have doesn’t have any MERCURY in it. Now, I would like to find out if how can I post or forward you that copy so that people or customers should be also aware what to look for. Thank you and I hope you have a great day! P.S. I love your site because this is very informative and that’s all we wanted to help other people. Thanks, but you’d be better off making that argument on your sales website and putting what results you have there. As you can see, this isn’t a place for vendors to promote or sell skin whitening creams. Also, the needlessly convoluted nature of this brand St Dalfour is evident — defensive sellers having to argue that there’s actually “different sources”, “fake vs real” etc ad nauseum. I respect your message, but this doesn’t exactly inspire confidence. I know I made a comment or replied to this message but I don’t know why it was REMOVED or DELETED. Anyway, here is my answer again to ALL the accusations. I am not here neither to argue with you nor to depend the products that I sell. I am not here promoting or selling my products in your website (I am beyond that point). You completely took it in the wrong way and blew it out of proportion. When I asked if I can post the St. Dalfour LAB Test Result it wasn’t about proving or knowing if St. Dalfour is “FAKE vs REAL” the way you put it but for the consumer to KNOW exactly what to look for before buying not just St. Dalfour or skin whitening creams but all Skin Whitening Products out in the market. They will be aware that LAB TEST RESULT exists. Whether you like/believe it or not LABORATORY TEST RESULT will inspire consumers confidence! (We’re talking about License Chemist here, that has the potential of loosing their license if they falsified documents). In my personal opinion, it will definitely help consumers and that’s all I needed and wanted to do as well. My goal in posting in your site is to HELP which I think is the MAIN purpose of this site, ISN’T IT? Neither less, thank you for response and I HOPE that it won’t be deleted or removed this time. PEOPLE have the right to know this matter and it is just FAIR. Note: I have also mentioned how I love this site and how very informative it is. In fact, I even posted it in my site as GUIDE & WARNING. So, please prove it otherwise. I repeat — this website is not a platform for your sales pitch of St Dalfour, a cream that has been banned. The fact that you would think so troubles me. NOBODY SAYS THAT BUT YOU! I THOUGH THIS SITE IS TO HELP PEOPLE ISN’T IT? I GUESS IT’S NOT! Let me make this perfectly clear as you don’t seem to understand. 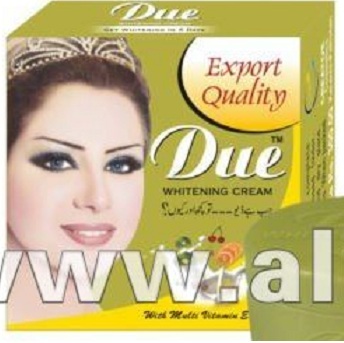 This site is to protect people from manipulative, fraudulent sellers of banned whitening creams. I had removed an earlier comment from you because I’d made it clear to you that this is not a place for vendors to promote their goods, but you chose to ignore that and continued commenting with the same sales pitch. OH I PERFECTLY UNDERSTAND! JUST BECAUSE I MENTIONED MY NAME AND MY COMPANY YOU ALREADY CONSIDERED IT PROMOTING, FRAUDULENT & MANIPULATIVE?WOW! SHOW PEOPLE DOCUMENTS OR BANNED LETTER FROM US FDA TO SHOW THAT IT IS INDEED BANNED PRODUCTS! DON’T JUST SAY IT BUT PROVE IT! YOU KNOW WHAT I THINK MS. HESSA? YOU ARE JUST SO AFRAID THAT PEOPLE WILL FIND OUT THAT SOME OF YOUR INFORMATION ARE INCORRECT ESPECIALLY BY NOT ALLOWING THE LABORATORY TEST RESULT OF THE ST. DALFOUR TO POST IN THIS SITE! BECAUSE I HAVE A PROOF THAT IT WAS INDEED TESTED THAT IT HAS NO MERCURY! YES LET PEOPLE OR CONSUMER DECIDE FOR THEMSELVES NOT YOU TELLING THEM! I HAVE A HIGH RESPECT FOR YOU BUT NOW I DON’T THINK YOU DESERVE IT! THANK YOU FOR YOUR TIME. I REALLY APPRECIATE IT! HAVE A HAPPY, WONDERFUL AND MERRY CHRISTMAS TO YOU! There are no fewer than three articles linked under the entry for St Dalfour above that state the cream contains mercury and has been banned by the FDA. But I suppose things like simple reading and logic are just wasted on people like you, right? I am also using this St.Daulfer France Cream for some years and I am a Chemist too. But always wondered whether there may be Mercury or Hydroquriorine as one of the ingredient. So could you please prove me as there are no harmful or carcinogenic effects in St.Daulfer Whitening Cream? Also I want to know the country of production of where the original one is produced? my name is rubika and i am using this cream too. i hust like to aks you, what happens when stop using this produckt ? how about the Chinese BL cream??? 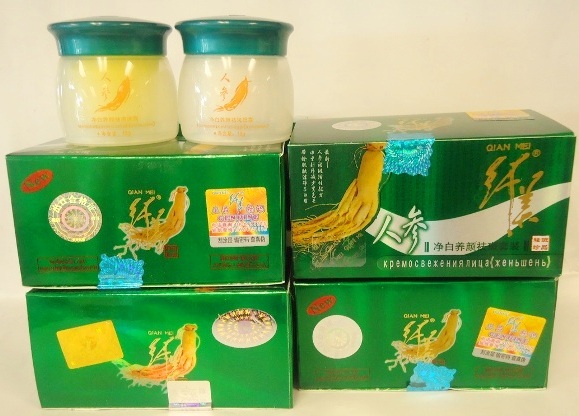 Do you guys know if Cai Mei Sheep Placenta Skin Whitening Cream has mercury or lead in it? Thanks for the very usefull information. I should have visit your blog long ago. I have a situation here and that what lead me to surf the net to find an answer and after reading your article I was skeptic that I’m actually dealing with one of the product contains mercury. Back here in my hometown there is one face cream which is known for removing pigments within a week and it sold in a plain white plastic jar without the ingredients printed on it. The problem is it been used widely by the villagers including my mom without hesitation. Of course it very effective of removing pigments but I’m very concern to know the ingredients. The cream consist of two which is night an day cream. Day cream with SPF?? And the night cream is very sticky. I’ve asked many people about the origin of the cream and they told me that it was actually BL CREAM from Philipine but there’s another ingredient to mix with it before its ready to use. hi Zara… I’m from Malaysia, and yes i did used these cream and it worked like a charm… but the q is the ingredient, and with this thread it made me scarrier. I know that BL cream is only a ketoconazole that an anti-fungal. But there’s a saying that the cream in white jar is actually a placenta, I don’t know really…. we might have to do lab testing to figure this out…just kidding.. Finally someone answering me. Thanks. I’m Malaysian too and we might probably are dealing with the same product. The effectivness of the product are really waking me up. They call it Magic Cream here and I already arranged a sample to be sent to the lab. This comment is made about a month ago and just a few days back my mom complaint that she’s actually starting experienced headache and I noticed that her skin looks very thin too. And others have experienced massive pigmentation when exposed to the sun. I’m using it too and of course its chicken me out but let’s just see wht the lab test would bring. If these creams contain dangerous amounts of mercury why are they allowed to be sold at beauty salons, and selected stockists? Surely in the UK there are rules and regulations in the retail industry for what can be sold. Is it all legal? If I were to find stockists can I notify any particular body or organisation? I guess in a perfect world, everyone would know the laws and respect them. But it isn’t so. 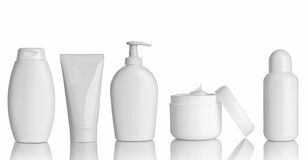 If you see banned creams being sold and would like to report it, you can probably do so by contacting your local trading standards office or submit a complaint on directgov. Hope that helps. I’ve gotten a whitening cream from Thailand called Arche Pearl Cream, it’s very cheap, it’s less than one dollar a 3-gram package. Actually, I received it as a gift. 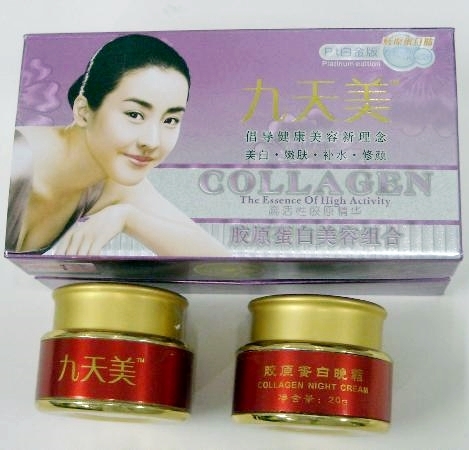 There are a lot of comments on the internet that this product has mercury and hydroquinone in its formula, both are very dangerous ingredients. But it says on the product package that there’s neither mercury (nor hydroquinone) in it. Some people claim they got instant results with it with one application (weird, isn’t it?). I’m still a bit afraid of using it, I don’t know if I should trust a cream costing less than one dollar, made from an “acient formula” from Thailand, and which promisses wonderful results really quickly. So I’d like to know if there’s some way to know if there’s mercury in this cream, like a chemical reaction test? If so, please explain me how. Thank you very much. I don’t know of any DIY method to test for mercury content. Your best bet is probably an independent lab testing agency. Just send them a sample of your cream and they’ll send you the results of their analysis. As an aside, I wouldn’t put much stock in what the product packaging says. If you were selling a cream that contained banned ingredients, would you tell the world? my sister send me a cream called DIANA she says it wipes away the blackheads lefr by pimples. i just want to know if it contains mercury. am scared to start using that product. my sisters stays in the UK and am in Africa. this product is from lebanon is very cheap. A cream called Diana is in the list above. But how come they allow that in the UK. The fact is that St. Dalfour was not approved by FDA as stated above, there’s nothing more to discuss. And I think people will not be confident if you provide the test results of St. Dalfour. If the test result was made by your laboratory or a laboratory that you hired, the tests can be tampered and biased, yet crucial information may be concealed. I got a cream called Arche Pearl Cream from Thailand and it says on the package that the cream does not contain any mercury (or hydroquinone). The fact is, the cream, which costs less than 1 dollar, makes your skin lighter in one application. There’s no APPROVED ingredient in the market that provides such benefit. I can list a lot of costly produts that removes dark spots and even out the skin tone, such as Vichy, La Roche Posay, Clinique, Stiefel products. They certainly try to use the best ingredients, but it takes more than 1 month to see some little results. Why? Because they do not contain mercury or hydroquinone. NO THE LABORATORY IS BIG AND WELL KNOWN LABORATORY! THEY WON’T AND WILL NEVER TAMPERED RESULT AS THEY’RE LICENSE IS AT STAKE! YES THERE ARE SO MANY CREAMS THAT TAKES TIME TO SEE THE RESULTS BUT SOME PEOPLE ARE TOO IMPATIENT AND WANTED TO SEE THE RESULTS IN A DAY! Your comments are getting funnier by the day! Because I gotta tell you, you’re not the first person selling St. Dalfour creams that have left completely insane comments here. You’re in good company, my dear! AT LEAST I HAVE BRAIN TO BE AFFECTED I DOUBT IT IF YOU HAVE ONE HAHA HAHA HAHA… HOW’S THAT FOR FUNNY??? Oh wow… that’s sooooo clever! You really got me there, buddy! But you’re right though — this site is a waste of all fraudsters’ time. Because I WILL ALWAYS protect my readers from liars and con artists who would seek to profit from other people’s misery. You came to the WRONG place to spout your lies. You can take a sample of cream with no mercury to a laboratory and after getting the certification then you can start adding mercury into it. That’s what fraudsters like yourself do. The only way consumers can be protected from fraudsters like yourself is when the FDA does RANDOM testing of products which are already in the market. That’s how it was revealed that St. Dalfour cream indeed contains mercury and was banned despite the bogus certification you have been bragging about. Thanks for adding your two cents Rony. I couldn’t agree more with what you wrote. I using the feiya cream a few years now,it’s make in Taiwan.I don’t know it’s this cream safe? is chinese BL cream safe? 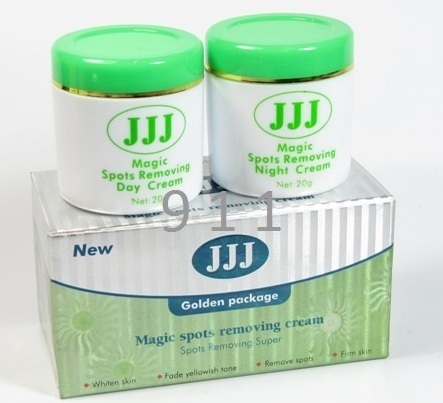 Hi, I would like to know if the Magic Cream being sold in Saudi has also a mercury content because I am using it and it is really effective in just 4 days my spots and pimple scars have lightened. I am only curious if it is among those products which has mercury because in just 7 days my skin is cleared with pimple spots. May I know the brand name of the magic cream you are using and from where and which shop did you bought. Im working here in jeddah and most of the creams available here are fake not unlike the one I had used before when I’m still in AL-Khobar which is really effective. I bought a magic cream in jeddah. much like the original but the smell is very fragrant. is it fake? Y st. Dalfour cream has no list of ingredients?? And is st. Dalfour cream frm japan and kuwuit r same?? 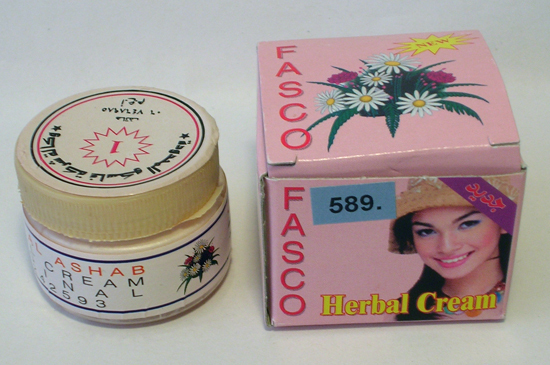 Do u have any suggestion hessa what’s the safest cream?? No one really knows. That’s the problem with these small, dodgy “brands” like St Dalfour (and all the others in the article). Basic information is hard to get, and information coming from sellers is unreliable. Most of the time, the public will only know the real ingredients (like mercury) when it’s too late. When someone has died or gotten sick. I’d suggest going for brands owned by reputable companies that have an established global presence. They will generally comply with laws and regulations when it comes to their product ingredients. For example, P&G and Unilever own many low- to mid-priced brands such as Olay (e.g Olay Professional Pro-X Discoloration Fighting Concentrate). There are many premium brands from reputable companies also (see list). And if you prefer it, there’s nothing wrong with using natural methods as well. 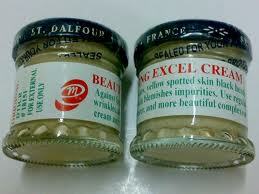 Another thing, y der r lot of sellers still going on related to st. Dalfour cream??? R they using it 2 on their own skin,??? Im so confuse to b honest, im hoping that they will tell the truth and not to destroy the company or they cud consider as a bussiness nd no cares if really have mercury, just to have incomes.. But im hoping to know the real story about st. Dalfour cream. Thank u. Thank u so much hessa. Hope i cud be ur frend. Cuz ur so concern to oder’s health aspects.. Thanks a lot. is Indonesian cream Sp safe? 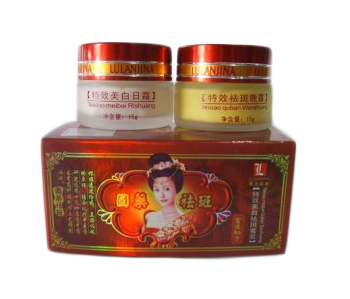 Thank you very much for the very useful informative web…I was using the Qian Mei cream for less thn 2 months and it works like wonders. made me slightly suspicious on the content..and shocked to discover this. Would like to ask…if you have the lab readings..is it possible for you to tell the Hg concentration found in pls? Telling myself i shouldn’t panic..but i cant help my self!!!OMG!! i should have checked on it in advance PRIOR usage! A lesson for self and all out there…pls check your products before using! Sorry for the very late reply. I don’t have lab readings for Qian Mei cream. How are you doing now? Any bad reactions from the cream? How about meladerm Ms. Hessa, i read from the internet that it is safe to use and it has a good feedback from the users. Hi jess, yes Meladerm is a reputable brand and should be safe to use. It seems to be effective for more superficial or surface hyperpigmentation (epidermal), but may not do so much for deep skin discoloration (dermal). hi i’ve been using a cream that i bought called milk cream. 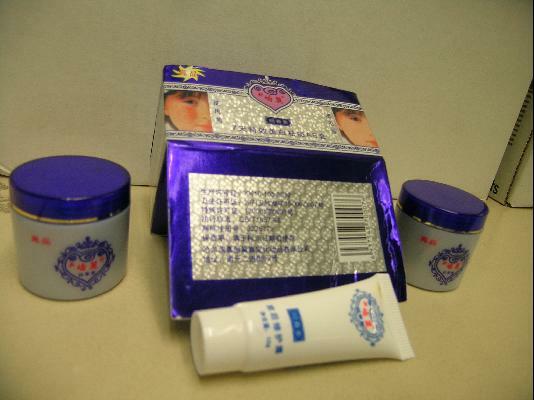 there is no particular brand on it.. the packaging is just this very cheap purple plastic 10 gram case with two stickers stating the name of the product (milk cream) at the top with a picture of a girl’s face and the ingredience and purpose at the bottom, which says: BeBe cut dank black pimples help to white beautiful young 100% (doesn’t make any sense btw), mix: vitaminE milk honey wheat flower tumeric made in cambodia. Ijust want to say that this product works great on my skin. It has gotten rid of my acne and scars within a month of using it but after i accidently came upon this website while looking for reviews on this product, i’ve been kind of doubting that this is a safe product to use because of the cheap packaging and the texture and color of the product. The color of this cream is yellowish and it has a thick texture. once you rub the product on your skin you can feel like there is these gritty particles in it. not sure what it is though. So i hope you reply soon and shed some light on this so called holy grail of mine. oh and by the way this product cost me about 10 dollars each so i’m hoping this product does not contain any mercury. p.s. if you want pictures i will gladly send a picture to you. problems as is in our body from all of these foods we sure don’t need anymore problem added to our bodies. I know that it is widely used among our Hmong women right now…its very popular as we speak. But once this gets out it won’t be any more. We don’t need anymore junk added to our bodies not if we can prevent it. I know the listing doesn’t have this particular brand maybe because no one has gotten sick from it yet but like all of the other whitening face cream I’m sure more or less they were using the same ingredients, if not, why it is so effective? I can’t explain? Can you? HI Ms Hessa, there is this body lotion I use called O’tentika skin tone formula. I find it very effective in skin brightening, but I want to know if it truly contains no harmful ingredient, because it claims to contain all round natural ingredients. Thanks. Hi Jennifer, sorry I’ve never heard of that brand. It’s probably best to use your own good judgement and watch out for any adverse reactions if you’re in doubt. Hi nyleisor, I cannot find the official ingredients list for this cream from the manufacturer. That’s a big red flag, IMO. Hi all, just want to know whether Egyptian Magic Cream contains mercury or not. I have been told by my derm that it contains mercury. Pls advise. Hi Jazmine, I don’t do lab tests unfortunately. If I had the resources, that could be good to do, but I’m just a blogger for now. My suggestion is to contact your local government/trade organisation. If the BL Cream is being sold in your local stores over-the-counter, they might take an interest and get them tested to protect the public. You could also send it for testing yourself. If this is really important to you, there are also many independent labs that will analyse the chemical composition of creams. It might be cheaper if you request specifically for them to test for mercury or steroids. Just mail a sample to them and they’ll send you the results. Then you’ll know for sure. Barring these, my advice is always go with your gut. If you don’t feel safe using something, there’s probably a reason why. Read the list of creams and you’ll find similar-sounding products. Use your own good judgement, it’s your best protection. It’s very easy for these small producers to continue changing a product name and packaging to evade the authorities. 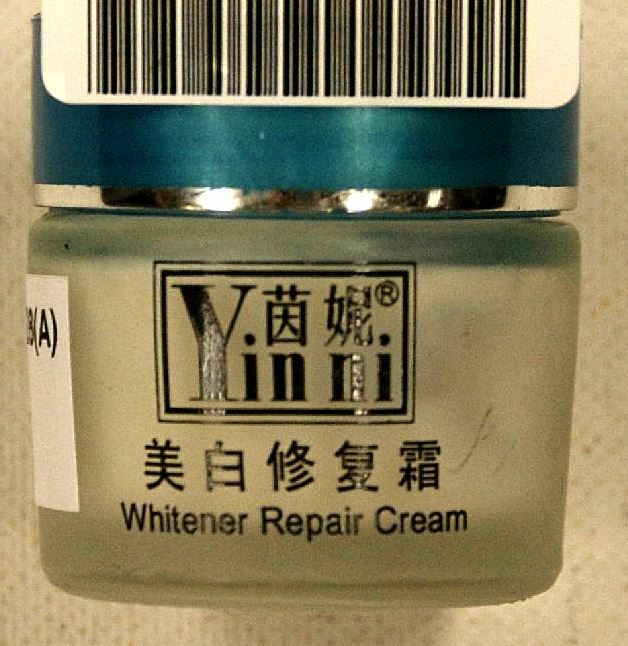 I am Absolutely Shocked at the article, the History of these Skin lightening Cream is Frightening. 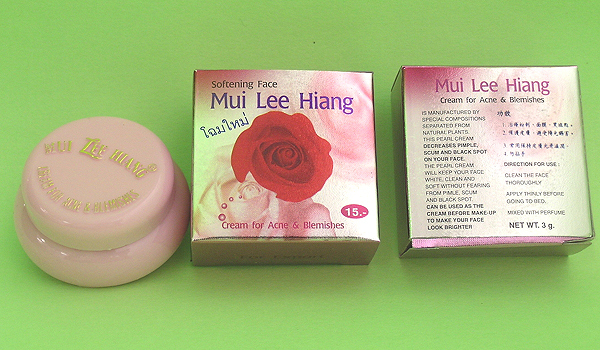 All the Major Brands does these kind of Products in South East Asian Countrys, where it is popular, however I am Certain most Peoples use it because they think it makes them look more Beautiful. However if they know about the History of Skin Lightening Creams then they would find it Scary and I think it would probably be far less popular. In these Skin Lightening Products they now use Safe alternatives, such as Mulberry and Bearberry Extracts and Vitamins liquorice Extracts. However that List of Creams which Contain these Kind of Toxicated substance is simply Suprising and disbelieving. Even though Most Urban South East Asian Peoples including the Chinese use these Kind of Things, to bleach their skin and ‘their’ Ideal way of looking Beautiful. The Rural Chinese Women being the Palest in Modern Pacific Asia, simply uses Traditional but Effective Methods such as staying away from Prolonged Sun Exposure in the Warmer Months. However I had read from the News, that Mainland China Lightening Brands are being brought and Used, by Rural Chinese Women. But Hopefully it contains Mulberry Exract and Bearberry Extract Rather than Toxic Substance such as Mercury. 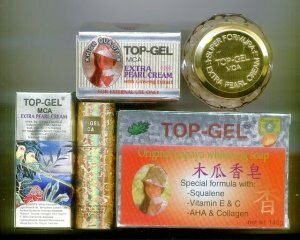 Is the top gel mca cream still contains mercury? I saw the link posted and it was dated since Feb 2009. When I checked the recently banned creams by the FDA, it;s no longer listed there. But I’m not so sure if what I read was correct. I saw some stores still selling those products. Please help me. thanks. I’m not sure why anyone would want to give a producer that has knowingly used poisonous, banned ingredients another chance… ever. I don’t write this to judge you, but comments like yours make me sad (and angry) all at the same time. I think you make an excellent point, but it doesn’t apply to the comment above. A different kettle of fish, and one that’s quite a lot more disheartening IMO. 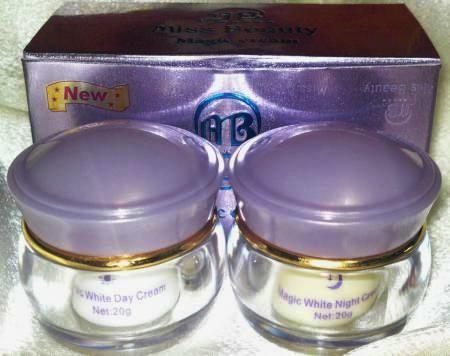 I’m using White Beauty Extra Lightening And Peeling Night Cream. Does it have mercury in it. are local obagi and Beauche kit here in the philippine safe to use?many filipinas using those local obagis and Beauche kit products but im somehow concerned if those are dermatologists tested…. i dont know if they have a mercury in it.thanks…. is bl cream safe to be used, i used it on my face everynight and after taking bath i mix the bl cream with nivea lotion ang put all over my body, is that ok? Thanks for this great article Hessa! I’m from the Pilipinas. I bought Miss Beauty Powder Cake last week. I had a slight headache after application so i washed it off. It was cheap but horrible anyway so I tossed its contents down the sink. I had many reasons to make it suspect: Made in China (notorious), a weird scent, lack of ingredients list, unknown manufacturer (I must always research the manufacturer of products i use, especially the ‘unknowns’!). I keep forgetting to research online until today and i found your article, which really answers the nagging questions in my head. Obviously, it’s the same brand as the photo you posted above because i recognize the logo. I’m putting it on my blacklist… CASE CLOSED! Made in pakistan! Does it contain mercury? Hello, I always used papaya soap Likas for lightening my skin. Does anyone know if this soap has mercury? Let me contribute some tips to test, wheter the product is contain mercury / hidroquinon or not. Simply add the product on gold plated accesories (ring, necklace) just make sure the gold is real ones, when the surface of the yellow shining gold plated turns grey or black, it means the product you just pour into it is contain that so called mercury. I had this test before, using my cosmetic powder. I tested among two different brand, the first brand pass the test and since my gold necklace remain still, bright and yellow as it was. then I pour the second brand. (powder too) suddenly something strange happens to my necklace, it seems like my gold necklace has something dirt on it (the powder I pour turns grey). Maybe if you had a doubt about your beauty product, you can repeat my method. So simple, just need some gold accecories to test, can be rings, necklace, bracelets, or else, put it into flat surface, then pour or rub the suspected cosmetic into it. See the reaction.try it. Hi aimee, thanks so much for sharing your DIY method to test for mercury. I’m sure this will help many others here. Am from indonesia, I’ve been awared about this hidroquinon cream issues since years ago,but i also find out that those kind of cream is distributes freelly and still no real action from goverment to build the law against them. Some source even said that those dangerous cream were sold in kilo’s among big distibutor, with no licence, and most of them were home class distributor whose later put their own brand on same cream they bought on kilo’s before. Horrible. Isn’t it? Hi Hessa, i was using ST.dalfour cream..i stopped by seeing your comments. Now from one month I’m using NAFIA magic fairness Cream. Does it have mercury in it. Can you please suggest me…. I don’t do any independent testing, but you can try Aimee’s DIY method to test for mercury in your NAFIA cream. Hessa i am from India…Can you please suggest me which fairness cream is good? Hi preethi, I would suggest a combination of natural and internal methods (raw food, fruits + vegetables, Vitamin C, detox cleanses, etc) as the layers of our skin grows from the bottom up. In other words, what we put in our body really matters. Another advantage of internal methods is that skin pigmentation would fade over the whole body, not just on some places. This page might give you a few ideas. I am also using the BL chinese cream for my 4 months old baby..she was diagnosed with skin asthma and my friends advised me to use the BL cream and to my surprise it gives a very tremendous result on her skin. I am just wondering why is it so effective compared to many expensive creams and ointment that we have tried, to think that those creams are tested and evaluated by many dermatologist..I have tried Sorbolene body wash, Dermaveen Shampoo, Dermaveen skin lotion and Triamcinolone lotion but all of those lotions have done nothing to my baby’s skin..except the so called BL cream.I am just wondering why is it so effective and at the same time I am afraid for the side effect it may cause to my baby. I am using the cream for 2 days and the redness, roughness and inflamation of my baby’s skin faded away. I am still searching for the real content, hope that there is no mercury content..Is there someone that can give us an information about the chemical content of BL cream? sa una maganda result ng bL cream. pero pag nag stop ka na sa paggamit nyan dyan mo makikita ang side effect nyan. babalik sa dati ang skin problem at lalo pa itong madaragdagan. na try ko na po ang product na ito. Hello everyone. Has anyone of you tried products by “ly na”? It’s pretty known to combat pimples and blemishes but I’m wandering which one is for which. They have one named “nourish face cream” in green and another one named “medicated pearl paste” in orange. Are they both unsafe or are they still usable with very small trace of mercury in them? I just wanted to check with you whether it is safe to use Golden Pearl Cream or not? Can you please advise if it is safe to use Golden Pearl cream? Does it consist of any harmful ingredients. Sorry Mesh, I don’t know. I don’t do any independent testing, but you can try Aimee’s DIY method to test for mercury and see what happens. I just want to know if Amira Magic Skin Whitening Cream has any Lead or Mercury content. It is sold in reputable malls and drugstores in the Philippines and has been around for years. In the box is says that it is a product of Amira Pharma, Inc. and their website looks legit. 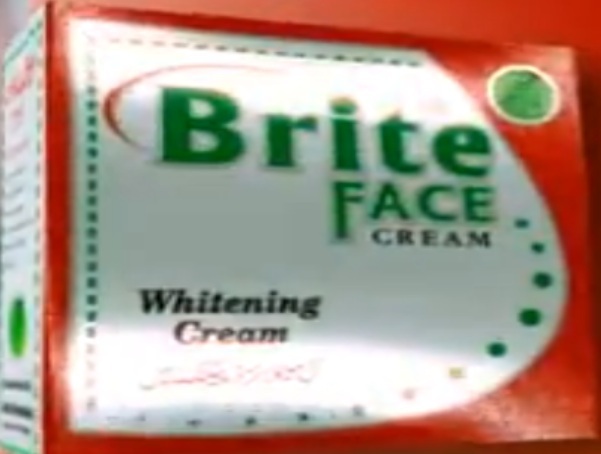 I’m just so hesitant to use it with all the “safe” whitening creams available in the market. Hope to hear from you soon! If you use an adblocker, please consider whitelisting this site (or if you use Firefox, please consider disabling tracking protection). Just allowing the ads to load on your browser means a lot to me. Thank you! Use code NUR428 at checkout or simply click this link for a 10% discount on your 1st order or a 5% discount if you’re a returning customer. If you use this code, you would also be helping me, and I am very thankful for that. 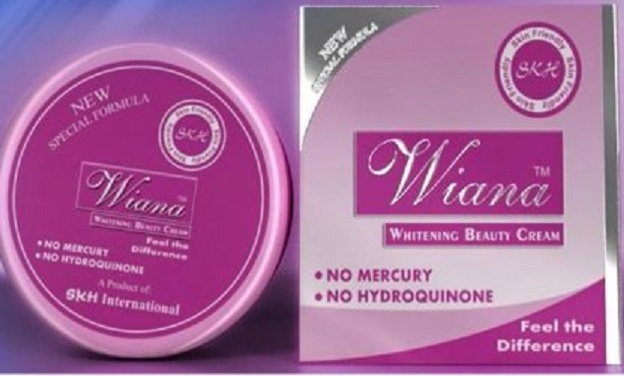 Hessa 26 April 2019 at 6:16 am on Mercury is a dangerous skin lightening ingredientFace creams made by big, well-known brands and those that can be found on the shelves of reputable pharmacies, drug stores, department stores, and supermarkets should be safe. E.g. Olay, Neutrogena, Burt's Bees, Sephora, Lancome, etc. Hope that helps. Imela_b 20 March 2019 at 8:24 am on How to heal your skin from deep, chemical damage due to harmful creamsUse African black soap to bath, and apply carrot oil, avocado oil, olive oil, or coconut oil on your skin daily. Your skin will return to normal. This site contains copyrighted material and its entire contents are protected by copyright as a collective work and/or compilation under U.S. copyright laws, international conventions and other copyright laws. The author reserves all rights. No text may be copied, reproduced, republished, uploaded, posted, transmitted, or distributed in any way without the author's express written consent.